Pencils. Erasers. Notebooks. Scissors. Glue. Folders. To some, these items are nothing more than nuisances or means to an end. To others, the items are a lifeline to belonging, success, and worry-free school year. One local charity has once again assured this message is heard at DeKalb County School District (DCSD) by hosting a 11,000 school supply giveaway. 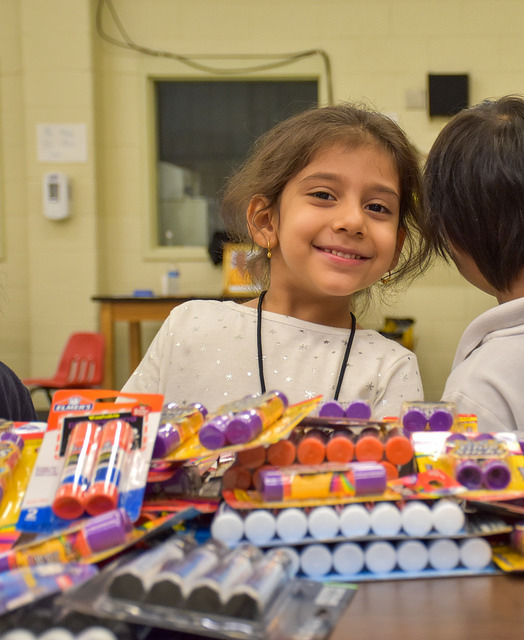 Local nonprofit The Love of Giving delivered more than 11,000 packs of pencils, bottles of glue, scissors, folders, notebooks, and other school supplies to Indian Creek Elementary on Aug. 8. The entire student body—made up of almost 1,000 students—was able to pick out what they need to make the 2018-2019 school year a success. For Katherine Miller, the founder and executive director of The Love of Giving, helping children is not just a passion, but second nature. Miller considers events like the one held at Indian Creek “a joy” for all involved, including volunteers. 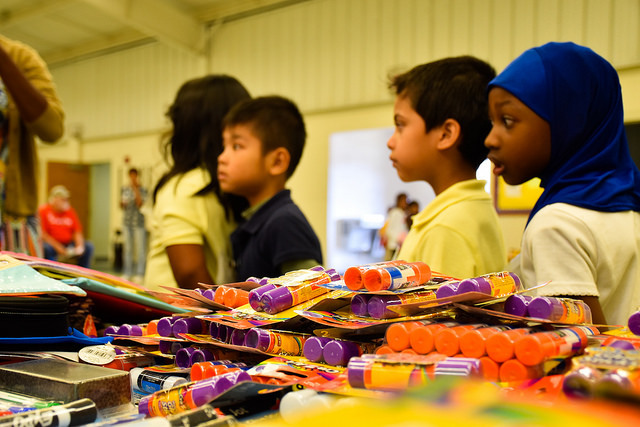 On Aug. 8, about a dozen were in attendance to deliver supplies to students. 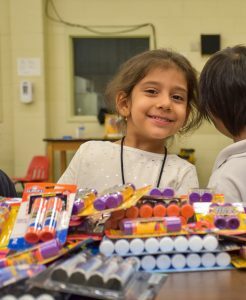 Miller and The Love of Giving delivered Christmas presents to Indian Creek Elementary in December 2017 and donated the same amount of school supplies last year. She considers the nonprofit’s relationship with the school integral to the charity’s mission. For staff at Indian Creek Elementary, the community partnerships like the one with The Love of Giving help the school fulfill its mission. For more information on Indian Creek Elementary, located in the Clarkston High School cluster at 724 N. Indian Creek Drive, visit the school website.